Walking in nature allows and helps your mind wander and connect on a deeper level without daily stress of modern life. Where we were born influences our lives: location and its surrounding nature – these our roots, our strengths. Native animals, Family, school, friends, work environment are among many more factors that will shape us – our shape are the equivalent of the tree branches and how these grow. The tree is well balanced, it can show its equivalent of branches in the quantity of its roots system. Look at the photo of this tree and meditate on the way it is growing. Can you find the positive points in this illustration? Nature is our greatest teacher, we are part of it. May I ask you a question regarding jewelry that belonged to a loved one. Sadly, I lost my mother a week ago and she gave me the ring that was hers for 7 decades. I wonder if it’s ‘good feng shui’ to safely wear it or if I simply have to clean it? For the past 2 years it had been locked in a safe as she was scared that it would have been stolen in the retirement home where she spent her last years. Firstly accept my deepest condolences, it is always hard to loose a loved one and certainly is a challenge too wondering what to do with material possessions and memories. Your mum’s ring will be carrying her energies especially if she had been wearing it for many decades. For example, I received a while ago an very old and beautiful pearl neckless from an old friend of mine who herself had received it from a deceased friend who survived time in concentration camps. The first time I wore the neckless, Ifelt like something was strangling me. I thus put it several times outside in a ceramic bowl during full moon nights. I repeated this 3 months in a row. When I wore it 3 months later, after those clearing rituals, the old clip broke. I brought it to a jeweller and had it repaired. Ever since, I wear it either around my neck or as bracelet and each time, I think of my friend who since passed away. She was a strong and courageous lady. I believe that this trait of character is re-activated in my memory every time I put on the neckless. MAybe it has inflenced my courage and perseverance too? Thank you for your answer, Roseline, I now will start the clearing process and will keep you posted. X.D. I often receive emails from readers asking for Feng Shui tips. As an answer for them, I write a post on this blog for all of you so you all learn. Unfortunately, there are times where I cannot help, when things are too challenging and in this example below, you can read through the lines that this person is in a very difficult situation. The best is to suggest her to see a professional counselor as an email or a post, in this case, will never replace professional guidance and I’m sure that you can read here that she needs it. “I needed to run from my mother as far as I could as well as from my sister. I am still at her house I entrenched in her misery about my life because I couldn’t bring myself to wash her away. I walked out this afternoon and but back in again, it is destroying me and my dog. I wish I had left. I cannot believe how awful a place and people can make you feel or do destructive things to yourself. I thought going to stay with mother would be protective… I but I was totally wrong. I’ve lost all self confidence and am destructive in my thinking to myself, I can’t believe it. In reality have I known this deep down and therefore left years ago to a productive life. Unsure how to fix myself out of it. I left my life behind five months ago and nothing but misery and self doubt since coming here. – N.N. A Feng Shui consultant does look at the psychology of the home but will never replace the help for the person that she will seek with a professional medical doctor, psychologist or psychiatrist. Imagine my surprise when I spotted this huge white cow galloping heavily towards the highway intending to cross in front of my car -only 10 meters away- while I was driving at 100 km/h. Unfortunately here in Australia, we are used to see dead kangaroos along the roads but cows it’s rather seldom especially near a big city! Was it a cow, a heifer or a bull, this sight only lasted a fraction of a second and didn’t allow me to see details not to catch that photo on my camera? My foot got off the accelerator and quickly moved towards the brakes to signal to the road train that was following me that I might have to stop very soon. The truck roared and luckily the animal turned around. These seconds felt like being in a slow motion movie. I had spent my day in Nature in the bush, I was quiet and relaxed – in other words: I was living the moment and was aligned with the Oneness. Two hours later, after picking up a friend at work, we were on another highway. The night had fallen and highways here are not lit. Peak hour, traffic was dense nevertheless moving fast. Suddenly, in the middle of the two lanes, we saw a shape that initially seemed to be a large cardboard box. We were driving again at around 100 km/h which means that a couple of seconds later we discover that actually it was an unknown concreter wheelbarrow that had escaped from his trailer. We both smiled and said that after all, we are not always warned of all dangers, thus we need to be aligned and aware all the time, no stress, simply living the present moment. The next morning, I choose to see the nearby Thrombolites. I decide to take that 5 km walk along the seaside and read the informative panels explaining about the flora and fauna. After 1 km, I stopped at the sign explaining about the Bungarra Burrows that was actually telling me that I could well encounter a 1.60m goanna during that walk – Oooops, that was bigger than me! Nothing was said about any dangers for humans when crossing those racehorse goannas which speed reach 60 km/h – a much higher speed than mine since I haven’t had any Olympic training lately! I wondered then what to do? After a short pause, I decided to go ahead (yes, you know me!) but I must admit that I felt a little insecure, a 160 cm goanna it’s big though! A bit further down that path, I overtook a lonely 50 y.o. muscly man who was walking slowly and holding in his left hand a First Aid Kit and in his right hand what seemed to be a golf club ending with a big hook. That didn’t reassure me and… I accelerated my pace. 500 meters further, I noticed unusual fresh tracks on the earth. My vivid imagination questioned if this was a tail of one of those goannas, a snake or anything else? I felt my heart pinching lightly and my legs putting on speed here again. Another kilometer further, I relaxed, my legs slowed down and I started again enjoying the view of the magnificent flowers, the amazing landscape in this unique part of the world. My brain had long forgotten the danger of this goanna that could be seeing me as a tree and climbing on my little body while sticking its strong claws into my skin. Back to the car park, I thought that those 3 ‘signs’ (the cow, the wheelbarrow and the goanna sign) in the past 24 hours, for sure meant something important! The Goanna = Potential or Imaginary Danger that has been mentioned by someone, thus put into my belief system. – We are not often warned of dangers in life – and that when we are aware, all is often well. – On the other hand, when a potentially dangerous situation is mentioned, our little cells are getting stressed and easily block off our usual common sense. It is then much less obvious to be able and enjoy the present moment! These days, I never say “Pay Attention” nor “Be Safe” these two sentences implying a danger. I rather say “Be aware” or “Stay Present”. You can do this by yourself or invite some friends over, they’ll bring their own magazines and you’ll mix them all together! 1. – Answer my Feng Shui Life Quiz to determine which area(s) of your life needs a boost ! Email me roseline (at) fengshuisteps.com and ask me for your free copy of my Feng Shui Life Quiz. The 9 areas of my Feng Shui Life Quiz correspond each to a part of your life (just like the Magic Square of Feng Shui). 2. – Where you scored the weakest points, prepare 5 affirmations for scores below 8 or 10 points. Yes, you may have more than one or two weak scores indeed! – so you may have to write 15 or 20 affirmations depending on what area of your life you decide to activate. – Write each sentence with the idea of “TO BE” not “to have”, NO negative (so a positive sentence) AND in the present tense. – Never write anything for others either by the way, this process is for YOU only, respect what others have on their path please. – For example – for those of you who score low points in sector ‘4’ (Abundance) a good sentence would be “I enjoy spending wisely.” On the other hand “I will have a healthy bank account.” is incorrect because it contains the verb “to have” and it is in the future tense! For those of you who struggle with their writings, feel free to write under this post and I’ll give you examples for re-wording your affirmations. 3. – Gather about 10 to 12 different magazines and play some nice happy music in the background. 5. – Glue stick and scissors. 6. – You are now ready to start your collage. At the back of your A3 paper, write clearly each of your affirmations (as explained in point #2), date and sign under them as they are actually real promises that you are making to yourself! 7. – Then, read one resolution at the time and pick up one magazine, open it randomly and cut off the picture or a word that jumps at you (yes, the first thing that attracts your eye – NO, you don’t turn the pages, if you don’t find anything on that page, look at the front and back cover of your magazine). Close the magazine and place it back on the table. 8. – Read your second resolution, take another magazine and repeat the process (point #7). Do this as many times as you need pictures to fill your paper (this means you may repeat reading your resolutions several times). 9. – Then, when you have all those photos or words (this whole magazine cutting process would take maximum 30 minutes – because when you do something intuitively you do NOT read nor look anywhere else in the magazines – you take the photo that is there, on that page that you opened ! 😉 ), glue them all on the other side of your paper according to the magic square of Feng Shui that defines the various areas of your life. 10. Display your collage where you see it daily – many put it near their bed or in their bathroom. First collages from readers are already coming in to encourage you to do yours! A fantastic Tour Guide telling Dreamtime stories! CJ Fisher, Kuku Yalanji elder is opening his area to tourists. We know how challenging it is for small initiatives to be recognised and advertised so I decided to write this post to encourage you to visit Yindilli Camping Ground near the Meg Falls in the FNQ Daintree. On your way from Cairns to Cooktown, turn off @ Wujal Wujal and discover Buru also known as China Camp where the local elder CJ Fisher takes you on an accompanied walk. Put your tent in your 4WD and stay there camping overnight, sit around camp fire and watch an incredible sky. An experience of a life time that you will always remember! Visit CJ Fisher new website Yindilli and contact him for your next visit in the Daintree! I often experience different techniques especially when I come across interesting and genuine people – Frank Dejoncheere, director of Equi-Life Coaching is one of them! When Frank enthusiastically shared with me the great results he gets with coaching people through interactions with horses (Equi-coaching), I was interested and booked a session. 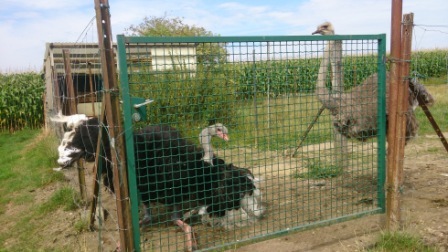 Arriving at its outdoors location in Grimbergen (Belgium), he walked with me and I discovered: 3 horses each in their paddock, a few ostriches and several white emus safely guarded. I couldn’t help myself to pick up their beautiful feathers on the ground. I thought I could offer them when I go next to Papua New Guinea for their ceremonial outfits. The horse shows you something with his behaviour… he was eating. I cracked out laughing, I had put on a few extra kilos lately and me too, like the horse, seem to be (too) often eating. We were still standing in the paddock with no horse in sight, we then started talking about the colours of my scarf and the gold colours that I was wearing in hat and scarf. I explained what gold meant for me and soon got the strong realisation that my body seeked Gold oligo elements under my tongue. I was in the moment, I was connecting with me, I was living the TO BE. 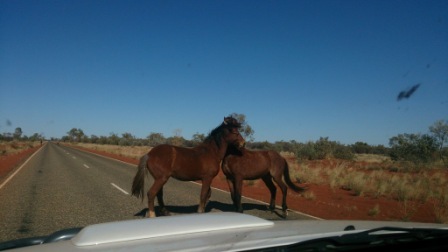 When Frank asked me what I saw right there standing in the paddock, I saw fences, limitations… because horses where I usually am in the Centre of Australia are wild horses running free in the large desert areas. I got excited talking about freedom, talked and connected with the elements of Nature and felt my aura changing. Frank stopped me kindly as I was talking about rocks (the Metal element)… my whole body became huge and he wanted to warn me, he had never seen nor experiences such a sight before. When I talked about plants (the Wood element)… my whole body expanded around me and Frank had to take a step back. Tuning into Earth, my body shrank and I felt and looked as little as a dwarf. What I felt was that my body was suddenly wearing clothes that had shrunk in the dryer. I could feel it in my cells too it is an fantastic experience! We turned to the other side of the paddock and realised that all 3 horses were all out of sight. My trauma was leaving or had left! Now… time to welcome Joy when the horse would come back to me. A plane was flying above our heads and we noticed a large bird circling a few hundred metres from us. We watched it and as we talked we started walking to the right, the bird changed direction and flew to the right too. We were talking about freedom and being in the flow. We were in the NOW. We turned again and saw the horse walking towards us. Trauma had transformed, Joy was coming! 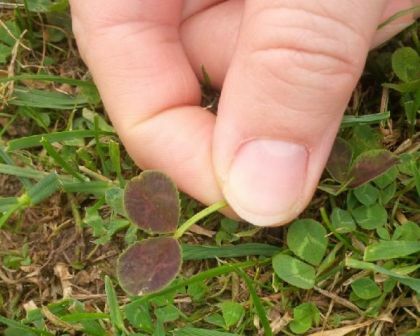 As we walked towards the animal, we stopped at the same moment and looked down in the grass, only to notice half a dozen of little purple coloured clovers lost among the grass. I kneed down and picked up a 2 leave clover. I smiled and said after all the usual good luck for the green ones are 4 leaves, these purple ones must be 2 leaves only, they are different – so are our beliefs in life. Many signs and lessons appeared for me during this Equi-life Coaching session. One song came into my head as I looked at the clovers: “From little things big things grow” (Paul Kelly, Singer) which is a well known song in Australia relating to Vincent Lingari and aboriginal history of Gurindji people when they went on an 8 year strike to recup their land from the colonialists. All is about the Land, respecting the Land. Here I was, back in Belgium, on the land where I was born, making the connexion with my 18 years of Australian wisdom. Please follow the links at the end of this post. The horse looked smaller at the end of my session, my emotional baggage had left! When I connected with the nature elements, my double chin had left. I was in the Tao, in the NOW, in the flow of life, I was free, I was ONE. 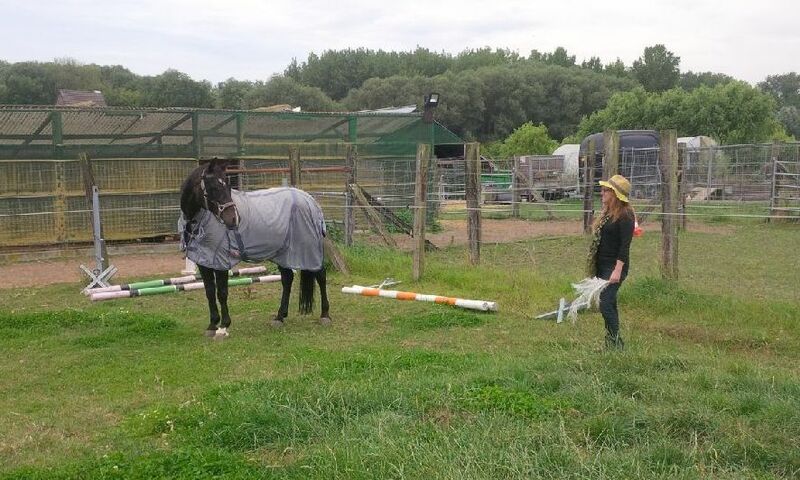 An Equi-life coaching session is not about the horse it is about you. So for those of you who are a little afraid of horses, I haven’t even touched the horse! We simply connected. We were ONE. 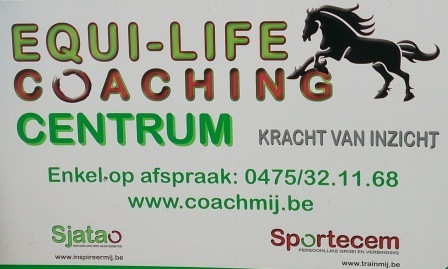 I encourage you to book your session with Frank www.coachmij.be sessions are in English, Flemish or French. An attractive cover that hides much more than a book for young children of the 21st century! Its more important message is that crystals are not just pretty things to be chosen and then forgotten about. They are much more than this. From the time the children display their first reaction or show an interest in crystals to when they are older and can read to follow suggestions and activities for themselves. The initial ‘show and tell’ of the parents is followed by them reading brief explanations of how crystal energies and our own interact. Children are asked to look at why and how they decide a particular crystal is one for them. Information and ideas offered in this book are meant to lead the child to develop their inquiring and creative nature. Included are games to play that develop memory and perceptual skills. Short meditations are included to bring healing, develop visualization , focus and concentration. This crystal guide with pictures and information about 30 crystals. The chosen crystals are reasonably easy to find and all suitable for children to work with. 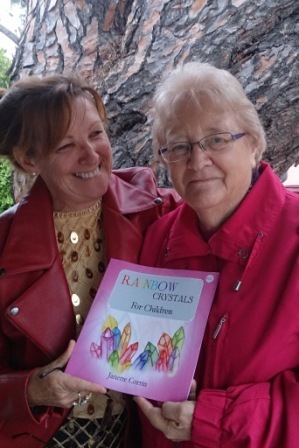 “Rainbow Crystals for Children” by Janette (Jan) Corrin will provide many hours of interest, learning and fun… for the whole family! P.S. I’m reading Jan’s book for the moment and I thoroughly love it! Cherry Picking Experience – or – How to ignore Signs! My code with the Universe works in 3 signs. They come together rapidly and either “opens doors” to opportunities or “keeps them locked”. Oooops… I hadn’t listened to the signs with our last adventure! 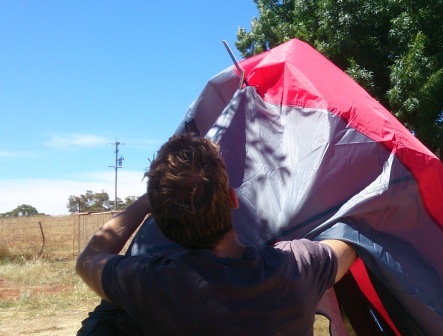 The son of a dear Belgian childhood friend is backpacking around Australia for the moment. After a month of discovering Sydney and Cairns, I invited him to join us in Canberra to visit the Capital Territory. He is a gentle young man with plenty of qualities. We are having a really good time together. After a week or so, he decided to look for fruit picking work and answered an ad in Young. It’s cherry season for the moment, farmers are keen to welcome cheap labourers. Backpackers are happy to get some work and fill their pocket with a few dollars. Intuitively, I decided we were going to drop him off and spend a week fruit picking with him as it was only a couple of hours drive and that would give him a start. We needed some camping gear. Monday morning, we arrived too early at the shopping centre that only opened at 10 AM (sign #1) we then decided to head for our favourite bakery in Kingston, the famous Silo – it was Monday and we had forgotten that was closed (sign #2), by then it was about 10 AM and we returned to the shopping Centre to realise that Ray Outdoors had moved to Majura Park a new precinct (sign #3). 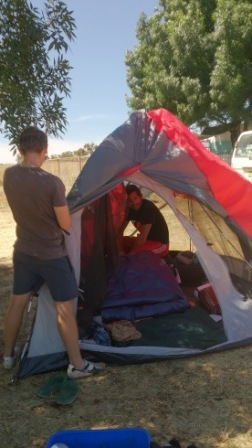 Finally equipped with a new tent, blow up mattresses and sleeping bags, we headed for Young after enrolling on line to an ad that was paying $20 per hour and 20% above award wages. I thought it was fairly well paid and suspected some twisted wording from the farmer as he only wanted us to fill in our contact details on page one and leave the hourly rate blank that was mentioned on page two that he hadn’t signed! We set up camp and heard plenty of French speaking pickers calculating the few dollars they made over the last few days. Lucky the camping spot was cheap $25 per week but it was very basic and some toilets were blocked. 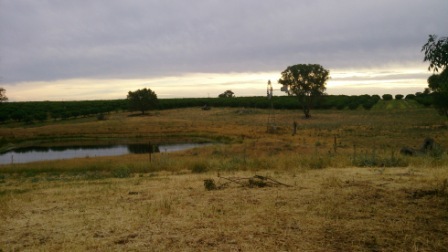 We placed the tent facing a little dam and a Aussie windmill. Good Feng Shui I thought, that’s going to help us with this experience. The tent professionally fixed was protecting us from upcoming lightning in the distance. The wind was blowing hard and our sleeping bags were not ‘winter’ friendly. We slept lightly and were at the induction meeting at 6 AM with two lovely Kiwi retirees who are traveling around Australia. They too had answered the same ad. The induction told us a total different story, the pay was per lug, a 15 kilos crate that the average picker (from what they said) could fill in 30 minutes. Here was the “$ 20/hour”. We were only allowed to work from 6 AM till 2 PM with two 10 min breaks and half hour compulsory for lunch. At the end of our first day, each new member of this newly started team had managed to fill 3 or 4 crates each. Our income was varying between $33 and $44 for the day. We shared our understanding of the conversation with the farmer and the kiwi couple confirmed that they too were told some people could make up to $200 per day. We gave a phone call to the farmer who had sub-contracted us to another farm and he confirmed that he would pay the award wages of $11.20 per lug not an hourly rate even though an hourly rate was the only mention on the contract. The ad had definitely something twisted. We thought, many backpackers would stay as it cost them already so much to get to Young. As we walked towards our tent we saw that one of the middle pole had snapped and had pierced the roof – impossible to sleep in that tent again if the rain comes again. We all looked at each other, laughed, packed the car and left. We decided fast – that’s part of the Feng Shui placement, you get a strong push! We are so grateful to the universe to have sent us a 4th sign – it couldn’t be more obvious! It was telling us ‘get out of here’. You might think we were very naive – we probably allowed us to be. You might think we were angry – we were not as we looked at this as an experience, a learning curve that we could have chosen to stay or go. We decided to go as we believe that there is something else better coming for our backpacker friend. We had a fruit picking experience. We are now more aware how much hard work it is for fruit pickers… and a strong reminder to listen to signs of the Universe! As per today, we haven’t been paid our small wages yet. Will we ever be? Life is filled with choices. The universe talks to us, he sent us 3 signs before we went… and we ignored them. We had good fun together though and that’s the most important point to remember! Maybe this story will push some of your triggers. Are you feeling stuck? Are you ready to blame someone for it? This is of no use. In most situations, it is your choice to stay in that situation or move on. Make a step and respect yourself.